Used on some of the most modern and innovated homes in the Washington, DC metropolitan area, these doors ensure that you’ll have the high quality, function, and look you want and need from your patio doors. 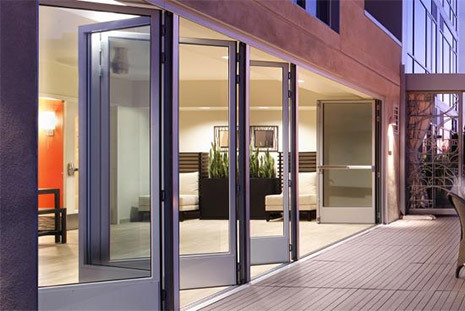 These high-tech, innovative "telescoping" doors are also some of the highest quality patio doors you can get. They create an open, inviting atmosphere, and are used to blur the lines between indoor and outdoor living. For architects, designers, and discerning customers, you can get a quote on these doors online. All of our exterior and patio doors are installed by our own in-house glass experts, not by subcontractors. We install everything exactly to specifications and make certain that everything is exactly as it should be – quickly and easily. Glass and hardware are covered for three years with our industry-leading warranty. It’s easy to deal with us, and with any problems that you might encounter.